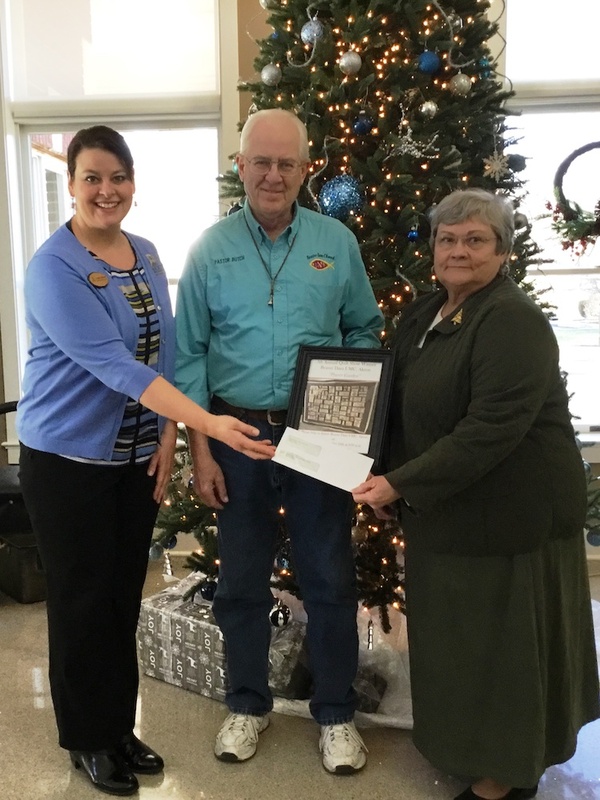 The $1,000 Peabody award check was presented by Peabody’s Angela Woolard to Pastor Butch and Wanda Troke on behalf of Beaver Dam United Methodist Church. North Manchester, IN – Peabody Retirement Community named the winner of their 5th Annual Peabody Quilt Show & Contest. A $1,000 prize was awarded to Beaver Dam United Methodist Church for their winning quilt entry, Prayer Garden. The Peabody winnings helped individuals pay for everything from furnace repairs to utility bills. One gift purchased 26 stuffed animals to help Mentone Fire Department and EMS comfort kids in times of trauma. Others helped a student finance a mission trip to Haiti and another attend the summer church retreat. One gift was given to Indian Springs Oncology Camp in honor of a coworker’s child with cancer, and another was given to help a local young man teach and preach on Indian Reservations in New Mexico. Two volunteers lovingly doubled their gifts to help even more—from paying off a gas bill to supporting Wheels on Fire Cancer Care team, Beamon Home and employees of the Mini Mart. “Prayer Garden is a lovingly pieced and stitched quilt featuring colorful garden and floral appliques, cherished bible verses and inspirational messages. It was a clear favorite among visitors who sipped hot cocoa and cast ballots in our 5th Annual Peabody Quilt Show and Contest. We were delighted to present the award to Pastor Butch and Wanda,” says Woolard. According to Peabody, celebrating the ageless spirit is something they do every day at the retirement community. So their annual Quilt Show & Contest—which celebrates the timeless beauty of a lovingly stitched quilt—has simply become a tradition. For questions about the annual contest or Peabody Retirement Community, churches, seniors and families are invited to call (260) 982-8616. On 33 acres of tranquil and pristine beauty in North Manchester, Indiana, Peabody is a continuing care retirement community offering a complete range of residential and healthcare lifestyle options including independent living, assisted living, rehabilitation, skilled nursing, and memory care. Here, the lives of senior adults are enriched through recreation, education, and culture in an atmosphere of grace, compassion, and respect. To learn more, call (260) 982-8616, toll-free (800) 545-6220, or visit PeabodyRC.org.